Pablo and his sister spend every day at Treasure Mountain,” the local dump. There, they rummage through the mounds of garbage looking for items that their mother can sell in order to provide food for the family. Occasionally, they find a real” treasure like some still-edible food, or a picture book, which Pablo delights in, even though he can’t read. The work is exhausting, and sometimes not very lucrative, but the worst thing they have to contend with is Filthy-Face, a brutish bully who steals the finds of all the children. 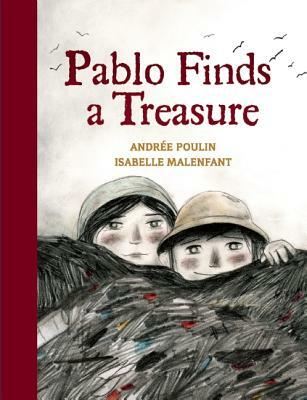 But one day, Pablo discovers a real treasure. Will he be able to keep it from falling into the hands of Filthy-Face? Simply written with highly expressive illustrations, this book brings home the reality of poverty around the world.